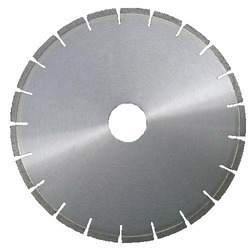 We are a trusted Manufacturer, Supplier and Exporter of Marble Cutting Blade. The Blades we make available are known for their excellent quality and durability. In order to cater the bulk and urgent requirements of the buyers, we maintain a large stock of these in our warehouse. Buyers can obtain these at competitive rates from us. Escon marble cutting blades are used in various applications like construction industry for cutting stones , concrete, bricks, marbles etc. Leveraging the skills of our qualified team of professionals, we are instrumental in offering a wide range of Marble Cutting Wheel . We are actively engaged in the market offering our most elite and finest quality array of Marble Cutting Blades. The offered array is specially designed for cutting marbles and finishing it. They are excellence guaranteed and accessible in much stipulation too. Adding to all this, these blades is sharp and very elite to use. Clients can avail from us a fine quality Marble Cutting Blades. These Marble Cutting Blades possess high tensile strength. 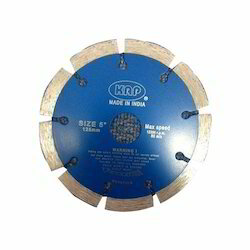 These Marble Cutting Blades are offered at most reasonable prices. These Marble Cutting Blades are made using latest technology. Our company has created a niche in the field of offering Marble Cutting Wheel. 4'' Blade available in 9 cut , 16 cut and Rim. Different brands and qualities also available. We are engaged in offering high-quality range of Marble Cutting Blade to our esteemed customers. HP MARBLE CUTTER BLADE HIGH QUALITY DIAMOND MATERIAL AND LARGE CUTTING AVRAGE.